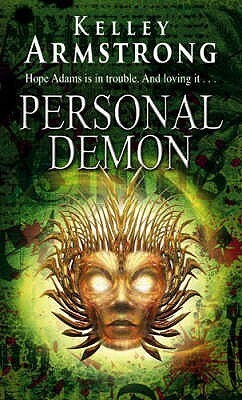 The ninth instalment of the Women of the Otherworld series, Personal Demon proves that Kelley Armstrong still spends every ounce of effort on these books. There’s no slacking of, no characters that slowly turn into two-dimensional versions of themselves, and the plot is as fast-paced as ever. Hope is a half-demon. Demons have fancy super-powers and a thirst for chaos. Regular half-demons get the fancy powers. Hope got stuck with the thirst for chaos. So when she is called in by the Cabal CEO, basically one of the most powerful people in the supernatural community, to do an undercover job in a gang, Hope is torn between succumbing to the chaos, or doing what is right. It’s been a while since a book engaged me so much. It’s probably just me being weird, but I loved Hope being undercover in the gang. It was all just so exciting. I loved the new characters we met in there, the danger, the thievery and sneaking… It’s all just right up my alley. 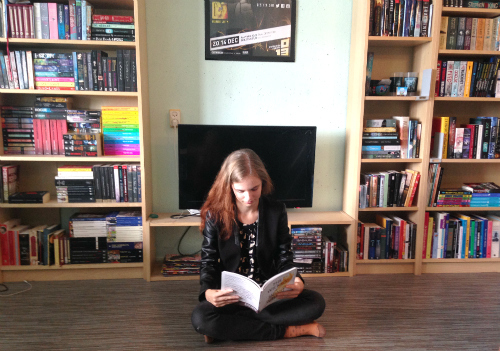 Kelley Armstrong also writes a crime series, and it shows. Her Women of the Otherworld books, although a series, always contain one kind of adventure or mystery that has to be sold. Even though she has created a whole cast of loveable and diverse supernatural characters, these books are still very much grounded into a plot to keep you turning the pages. I did figure out who was behind it all before it was revealed, but that didn’t stop me from enjoying this book to the fullest. The main couple in this book is Hope and Karl. Paige and Lucas also make an appearance, and it’s great to see them doing so well, but it’s mostly just Hope and Karl. On the romance part I feel like I’ve been missing something. Were there short stories about them that I didn’t know about? Cause they keep referring to happenings that don’t seem very familiar to me. They aren’t my favourite couple, but I still wanted them to have some kind of functional relationship. It’s nice that they’re both not perfectly moral, with Karl being a professional thief and Hope feeding off any kind of chaotic emotion including anger, shock and grief. Ms Armstrong is in my opinion, a lovely romance writer, in the sense that she knows how to write a convincing romance sub-plot. She stays away from being so horribly clingy and sweet, but instead shows the crazy little things that relationships are about. Many people didn’t enjoy Hope as a character, or at least found her weaker than the other heroines in the series. Once again I’m the odd one out, since I loved Hope. She seemed like such a normal person to me, like she could actually exist. If an author can convince me a character is real, that’s a big win in my book. Another strong addition to the Women of the Otherworld series, Personal Demon deserves a place among my favourites in the series, shared with Bitten and No Humans Involved.